Canada routed Venezuela 16-2 in men's water polo Thursday at the Pan Am Games and will finish out their preliminary round action Saturday against Mexico. 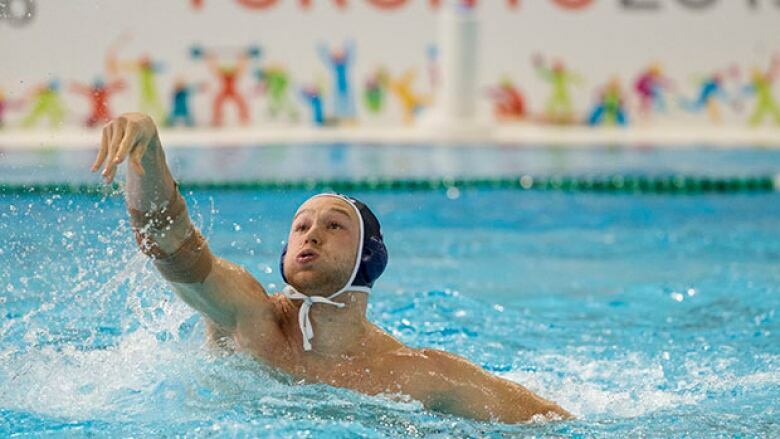 Justin Boyd and Kevin Graham each scored five goals as Canada's men's water polo team rebounded from an opening match loss with a 16-2 win over Venezuela Thursday at the Pan Am Games. Nicolas Bicari had two goals, with fellow Canadians Constantine Kudaba, John Conway, Alec Tascereau, and Jared Mcelroy chipping in singles. Canada's men followed in the footsteps of the women, who trounced Puerto Rico 19-5 in their matinee matchup. Canada, the silver medallists at the 2011 Pan Ams, jumped out to a 5-0 lead, and never looked back, receiving a strong effort from Graham, who was a substitute. In other action, Brazil beat Mexico 22-9. Canada will have a day off before finishing up the preliminary round against Mexico Saturday. Conway scored a hat trick for the Canadian men but it wasn't enough as they lost 11-9 to Brazil in their opener. Canada gave up four goals in the third period and a rally attempt in the fourth fell short. Boyd added a pair of goals while Bicari, Oliver Vikalo, Scott Robinson and George Torakis rounded out the Canadian attack.